Even as our mobile phones turn into our wallets, and it has become more natural to whip out a debit/credit card to make payments, cash is still far from obsolete. 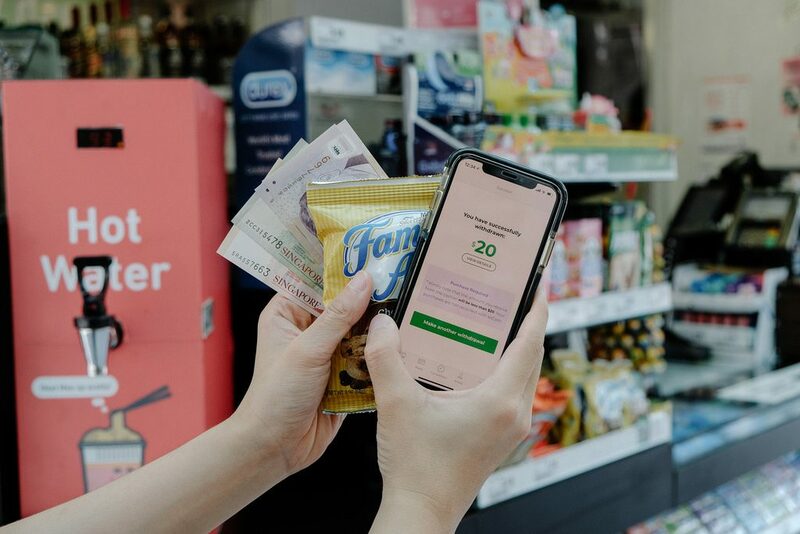 One doesn’t need to look far for examples – grabbing a cup of kopi and a packet of nasi padang from a nearby coffeeshop calls for payment in notes and coins. For our older relatives, ‘having money’ is still defined by having a wallet full of reds and blues, and a pouch of silvers and golds. For the rest of us, though, we keep a bare minimum in our wallets, praying hard that the places we visit accept at least NETS payment. Because of this, we often find ourselves in a bind when a place states “Cash Only”…and we’re down to our last $2 bill. And as Murphy’s Law dictates, ATMs can also be sneakily elusive, especially when you’re in a desperate need for one. 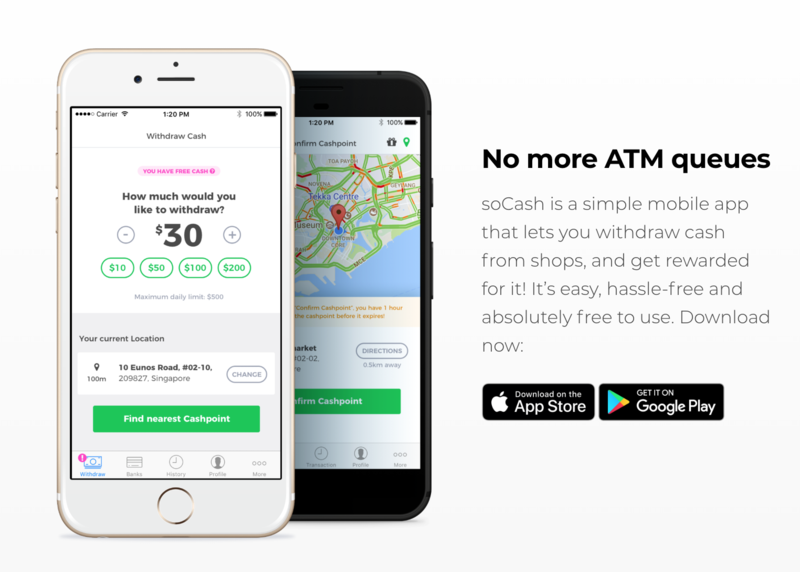 Singapore startup soCash feels your pain, and since 2016, has been partnering major banks and steadily turning small businesses in your neighbourhood into cash-withdrawal points. 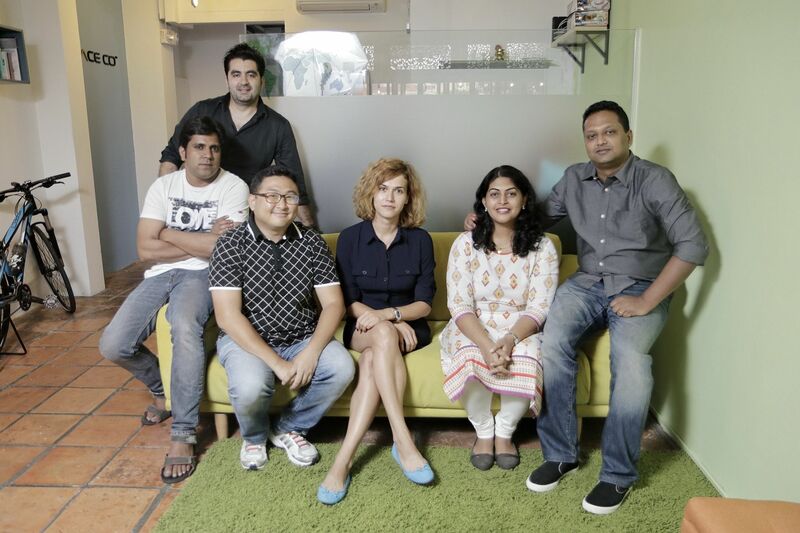 The founders of SoCash are Mr. Hari Sivan (38) and Mrs. Rekha Hari (35), both of whom chose careers in banking, albeit being trained engineers from renowned institutes in India. Hari started his career as a Programme Analyst, and within 2 years, caught the attention of HSBC Bank India, where he joined as a Software Engineer. In 2004, he moved to Singapore to join Citibank as a manager for the credit card loyalty and marketing department. He was promoted within a year, and took on the role as Assistant Vice President of Citibank’s e-Business Group, where he drove its mobile banking and internet banking businesses. After 6 years at the American bank, he joined DBS as the Vice President of its Regional e-Business department and, after 2 years, become the Senior Vice President of DBS Remit, where he conceptualised and built the bank’s cross-border remit system. His time in the banking industry also made him realise that no matter how technologically-advanced a bank was, cash circulation “remained the only area in banking which had not seen any innovation in the last 30 years. With “$300 million to $400 million worth of [uncirculated] cash is being held in ATMs” placed at locations with low footfall, he also estimated that banks “spent over US$80 million [in 2015] to maintain ATMs – that includes rental, power supply, and armoured trucks and security service to load the cash”. 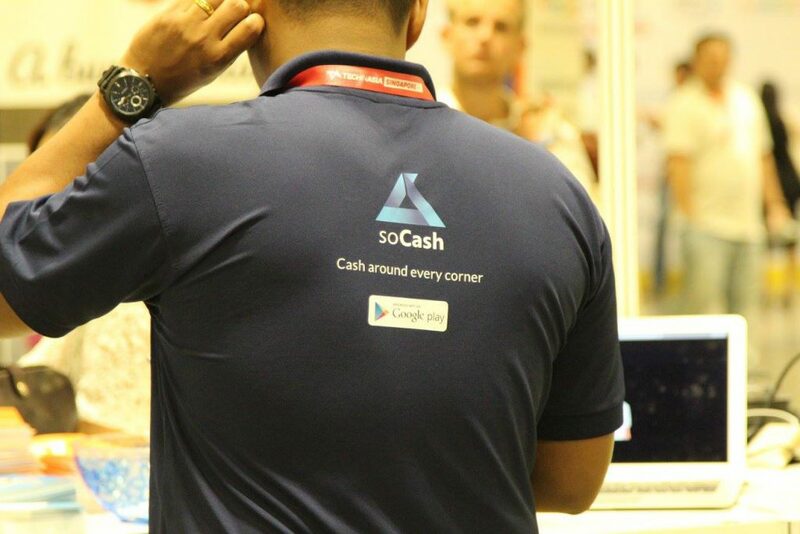 Therefore, not wanting to simply be a passive observer, Hari ditched his job to start soCash in May 2016. 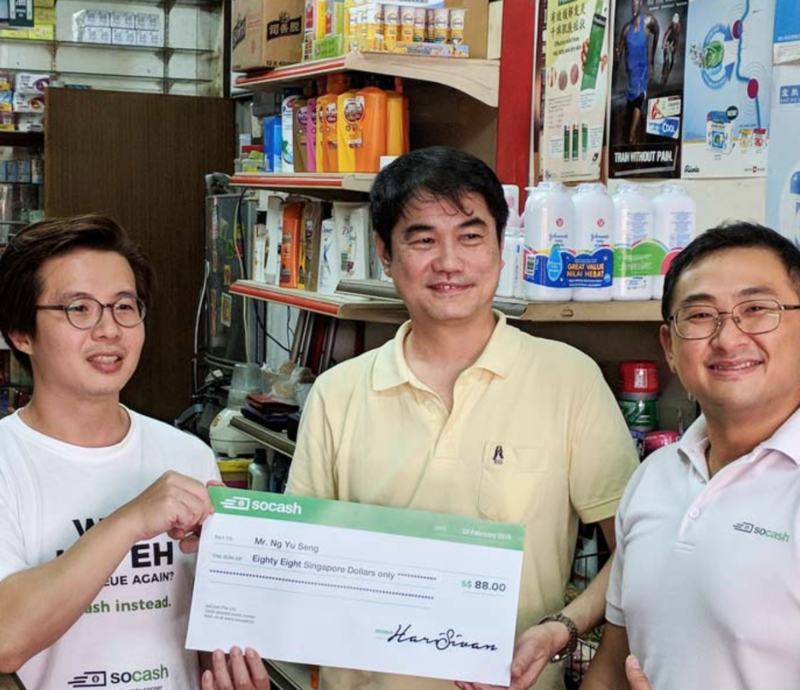 With an aim to solve cash logistics for banks by “creating the world’s largest cash network”, soCash also has another mission – promoting financial inclusion for small businesses in Singapore and across Asia by turning them into effective cashpoints. 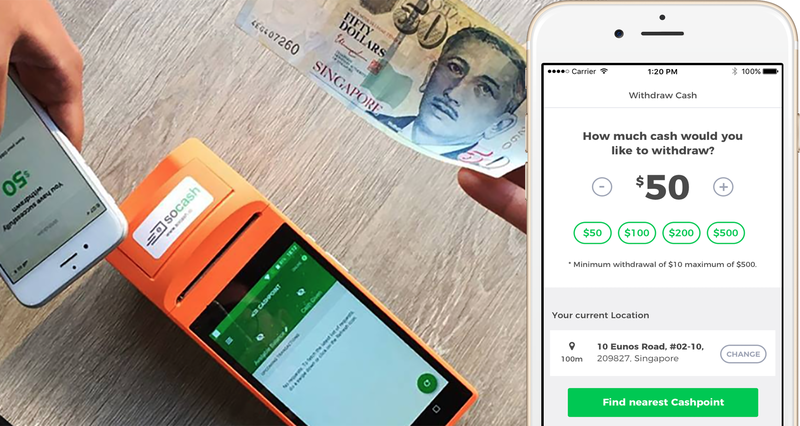 Making a withdrawal is simple, all you need to do is download their app and link it up to your bank account. Then, whenever you need some cash, enter into the app the amount you’d like to withdraw, choose a pickup point, scan the QR code at the cashier, and pick up your cash! 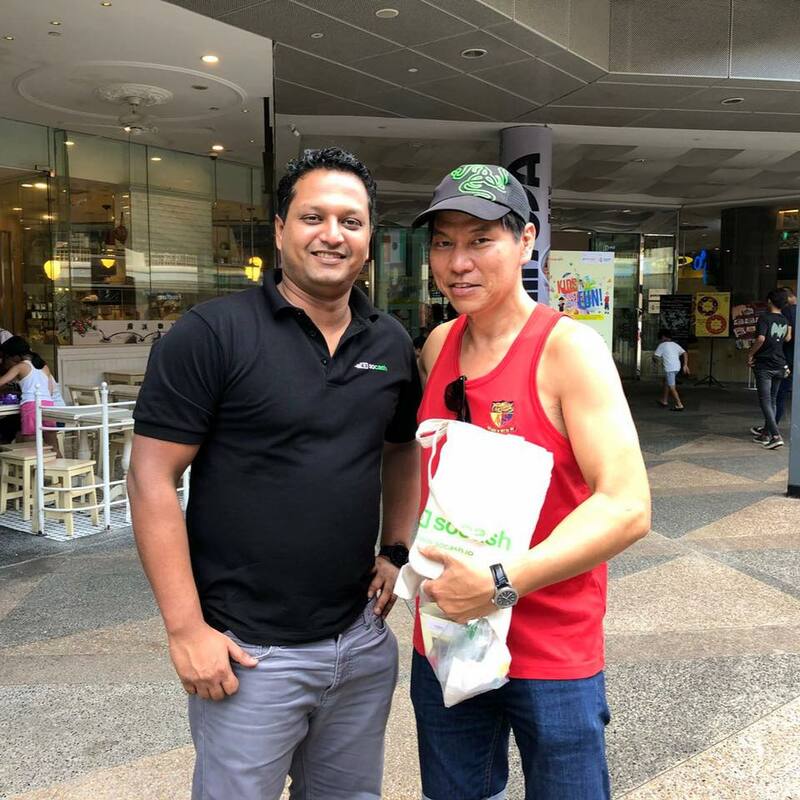 Since starting up, soCash has partnered with major banks like DBS, POSB and Standard Chartered, and has activated over 1,000 cashpoints across Singapore at supermarkets like U Stars, iECON and Haomart, cafés, 7-Eleven outlets, and even ‘mama shops‘. Admitting that “there were many people who were apprehensive” about his leap of faith, there were also those who believed that he could succeed in changing the traditional ATM structures, and even convince banks to get on board along the way. soCash was completely bootstrapped, with friends chipping in to help with the designing and coding of the initial platform. However, when the opportunity became clear, we rebuilt the technology in-house to ensure that it is ‘bank-grade’ and scalable. His years in banking also came in handy when it came to building a supportive network, with some of his ex-colleagues even joining him in the venture later on. 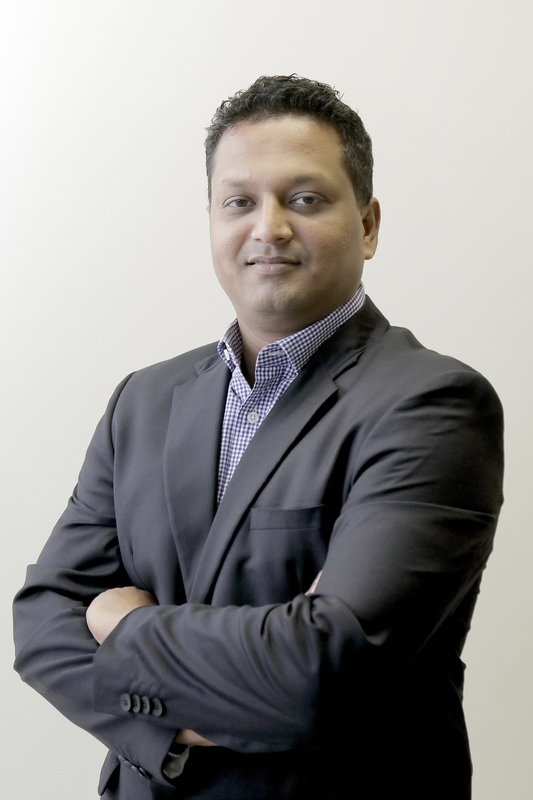 “There were some banks who jumped on the idea as they recognised that a digital cash management platform would save the banks money and provide consumers with another convenient way of getting their cash out,” Hari shared in an interview with us. However, they also had to battle with the doubts from both store owners and banks. There was definitely a fixed mindset of some traditional banks and shops that are still more comfortable with the status quo, and hence were reluctant to partner with soCash. Raising funds to run the company and hiring the right talent to drive growth are also ongoing problems that the team faces until now. Having started up with $50k, soCash has since raised over S$1.3 million in funding so far, and they’ve also set their sights on Southeast Asian markets like Thailand, Malaysia, and Indonesia – “economies with healthy GDP growth and young populations, and where cash still dominates day-to-day consumption”. Looking beyond Asia, Germany and Japan “are also in the works” for the soCash team. As soCash continues evolving and improving, we hope to reach a point where friends can get cash from one another, peer to peer.